Black rayon / gabardine bowling shirt with white stripe. 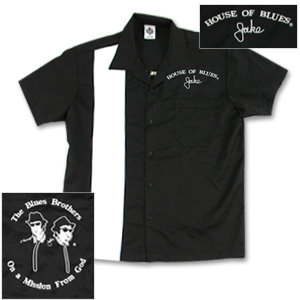 House of Blues & Jake embroidered over the pocket at left chest. Blues Brothers embroidered in circle design on back in white.